WARSAW — Wawasee wrestling opened its season with a statement, dominating the competition at the Warsaw Invitational over the weekend, while host Warsaw also had a strong showing. The Warriors surrendered a grand total of only 18 points over five duals, finishing with a combined 379-18 score and a 5-0 record on the day, beating South Bend St. Joseph 79-0, Calumet, 69-9, Rossville, 68-9, Fort Wayne Wayne 79-0 and Illiana Christian 84-0. Wawasee went undefeated in all but three weight classes Dylan Tom (106), Landen Dilly (112), Jace Alexander (120), Brenden Dilley (126), Geremia Brooks (132), Braxton Alexander (138), Garrett Stuckman (145), Fernando Hernandez (170), Alex Castro (182), Raymon Torres (195) and Hagaen Slusher (285) were all unbeaten on the day, while Logan Baugh (160) and Isaiah Tipping (220) each went 4-1, and Isiah Faurote (152) was 3-2. 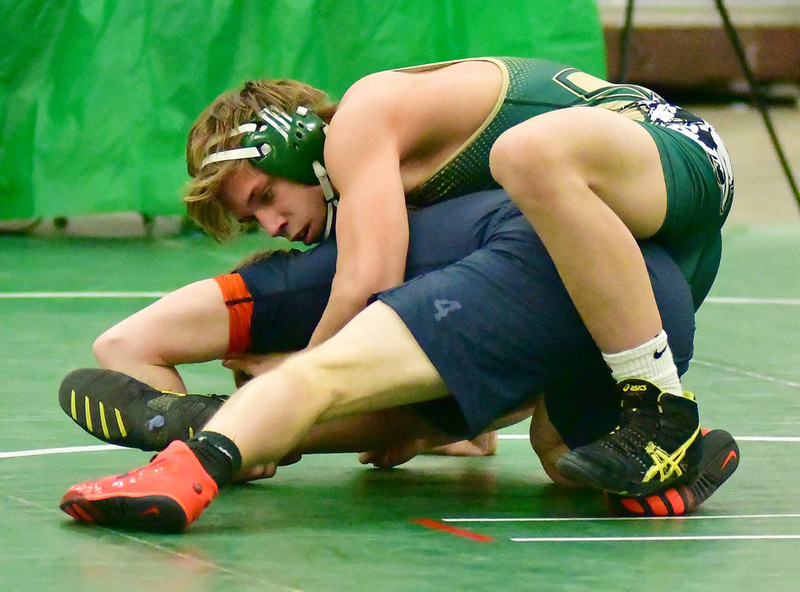 Wawasee boasts a full JV lineup this season, too, and the JV Warriors had two weight class champions at a tournament at West Noble in Jesus Malagon and Evan Gregory. The Warriors will host their November Duals next Saturday. Meanwhile Saturday, a much-improved Warsaw wrestling squad went 4-1 with wins over Fort Wayne Wayne, Illiana Christian, South Bend St. Joseph and Elkhart Memorial. Warsaw opened the day with a win against Fort Wayne Wayne with a score of 58-15. In round two, the Tigers collected eight pinfalls on their way to a 72-12 victory against Illiana Christian. Warsaw’s only loss on the day came to Calumet in round three via a tight 42-40 dual. The Tigers bounced back against St. Joseph to win 72-6, then closed the day with a great effort in a 58-18 win over Elkhart Memorial. Five Tigers went 5-0 on the day in sophomore Brandon Estepp (160), freshman Andrew Ross (120), junior Brock Hueber (182), sophomore Jacob Bass (145) and sophomore Jose Martinez (113). Liam Nolin went 3-2 at 138, Kyle Miller finished 3-0 at 220 and Jayton Brock was 1-4 at 170. Warsaw will be back in action next Saturday at the Wawasee meet.